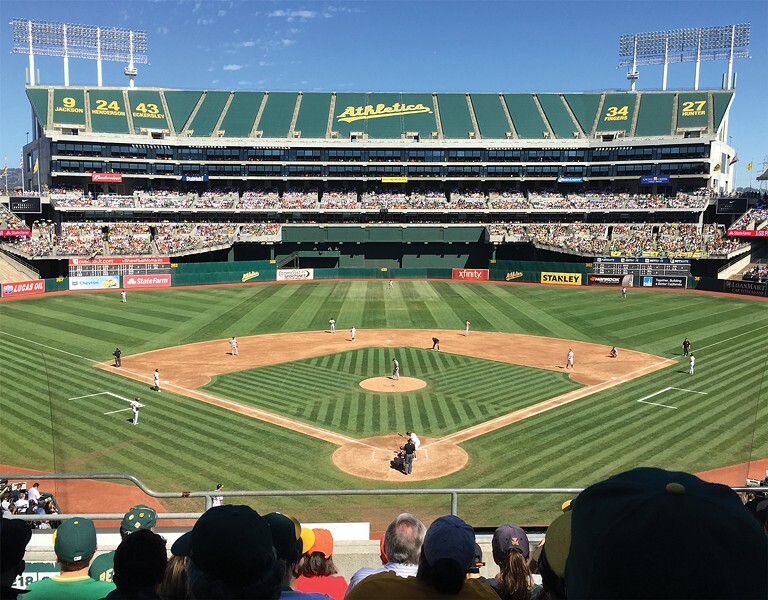 The iconic Oakland-Alameda County Coliseum and Arena have a storied history. But if the A’s move away, what will happen to the site? The Oakland-Alameda County Coliseum complex — that aged-yet-iconic home of enduring sports moments and legendary rock concerts — could one day be transformed into an entirely different development that grabs less headlines but adds more money to the city’s tax base. Although it’s too early to get too specific, local leaders say, competing visions for the Coliseum’s next life have already begun to take shape, should the A’s build a ballpark next to Laney College. In addition to the A’s’ proposed departure, the Golden State Warriors plan to leave for San Francisco in 2019, and the Oakland Raiders intend to move to Las Vegas the year after. And some public officials have already cast their votes for the property’s post-sports landscape, making it part of a multi-city bid to entice Amazon to make the Bay Area its second headquarters. Some merely want to continue the Coliseum’s sports tradition, perhaps with a NFL expansion team. Still others wish to remake the area into a sprawling tech campus. Meanwhile, A’s President Dave Kaval envisions a mixed-use complex that combines youth sports fields and commercial space. One day, one of these ambitious plans might come to fruition. But, according to even the most optimistic community leaders, that “one day” is many years away. The Coliseum and Arena, open since 1966, have hosted countless superstars from sports, music, and politics. The venues have had a great, historic run. But time is a ruthless foe. So are the ever-changing tastes of fans, team owners, and corporate-suite buyers. Baseball parks nationwide have moved downtown, where the A’s want to be near in Oakland by 2023. So, the Coliseum complex is crying out for change, perhaps total reinvention. But change to what exactly? And given all the moving parts around it, when? 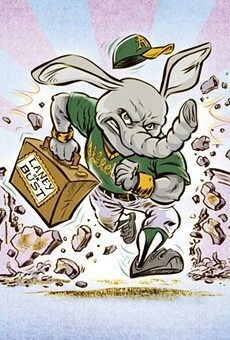 However, Reid echoes some East Bay fans by calling for A’s baseball to stay at the Coliseum, the team’s home since 1968. He laments the imminent departure of Oakland’s sports teams, saying the loss of jobs and national prestige they bring hurts residents. The A’s want to move to Peralta Community College District land, adjacent to the Laney campus, in part, because the team can’t secure the funding to privately finance their park if it’s at the Coliseum, Reid said. But that doesn’t mean the Athletics are giving up entirely on the Coliseum, said Kaval. Even as they try moving to another Oakland site, the A’s want to keep one foot in East Oakland, where they propose a mixed-use development with affordable housing and “job-generating centers,” such as a hotel, a job-skills organization, and other commercial uses. Others see Silicon Valley moving into the complex. The 120-acre Coliseum parcel, set within an 800-acre zone the city designated in its specific area plan, could become a tech campus and employment center, with a manufacturing district featuring warehouses and industrial spaces, where thousands of white- and blue-collar jobs co-exist. The city has prepared for several possible scenarios, accounting for proposals with or without sports venues, Cappio said, by certifying an environmental impact report and completing a comprehensive plan for the entire Coliseum area, knowing it might go through significant changes in the next 10 to 20 years. “It’s a huge advantage because a new development team now can come in, and they won’t be starting at square one,” she said. And what developer wouldn’t be interested in the Coliseum land? 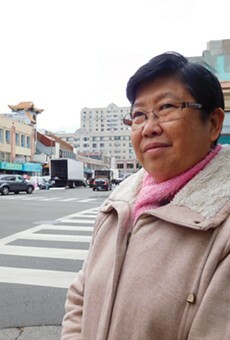 Especially with its array of transit services — including Amtrak, AC Transit, and BART, which connects riders to the airport, downtown Oakland, San Francisco, and the South Bay. For any proposal to make progress, however, longstanding obstacles must be removed. One such obstacle is the Coliseum’s current debt — about $55 million for the arena and $90 million for the stadium. The sports teams also could present a roadblock. If their new stadium plans fall through, leaving one or more teams indefinitely at the Coliseum site, proposals would have to be delayed, re-conceived, or junked altogether. And if the teams leave when scheduled, the city and county — which co-own the Coliseum property — must come to an agreement on whether to repurpose or demolish the arena and stadium. That list of moving parts creates uncertainty that won’t be resolved for years. Alameda County Supervisor Nate Miley, who chairs the Coliseum Joint Powers Authority that oversees the complex, has scheduled a JPA retreat later this month to seek answers to such vexing questions. Miley remains interested in keeping pro sports, including perhaps an NFL expansion team, at the Coliseum. Some fear a Laney ballpark will fuel displacement, but the city thinks it can rein in the forces of speculation. In selecting a site next to Laney College, the A’s sided with their fans, investors, and MLB over the wishes of many Oakland residents. And the team has a long, difficult road ahead.